The Özdoğan Group is making a major tourism investment in Ankara by building a hotel called Calista Luxury Resort Ankara Hotel in the Söğütözü district. The Özdoğan Group has pioneered environmentally friendly projects in the tourism sector in Turkey by constructing the first green-star hotel Calista Luxury Resort. The 14,000-square-meter Calista Luxury Resort Ankara Hotel is already attracting attention, not only from local tourism sector but also from the international hotel chains. The Minister of Culture and Tourism Ertuğrul Günay and the Assistant Secretary of the Ministry İsmet Yılmaz visited the construction site of the hotel and said they were pleased with this significant project. Günay said Ankara needed such special projects that could help develop the region and congratulated the Chairman of Board of Directors Zeynel Özdoğan on their efforts. Günay said he was sure the luxurious hotel would be environmentally friendly like the Calista Luxury Resort. He said Ankara had an extreme need for green areas. Günay said he hoped the new hotel would be a pioneer and a model for Ankara in many aspects. "We have decided to make a similar investment in Ankara considering that we served as a model to the tourism sector with Calista Luxury Resort," said Member of Board of Directors Ali Özdoğan. "That hotel offers both comfort and an environment-friendly stance in the tourism sector. When this new giant hotel is completed, it will be the biggest investment in tourism in the region. It will make a major contribution to the national economy and employment. Thousands of people will be employed during the construction of the hotel and after it is opened. Despite all the hardships imposed on us by the global economy, this huge investment we decided to make results from our trust in the future of the tourism sector." Calista Luxury Resort Ankara will have 401 rooms, of which 298 will be standard rooms, 61 will be deluxe and 15 will be corner rooms. There will also be 10 deluxe suites, 12 corner suites, two executive suites, two diplomatic suites covering 224 square meters each, and a 366-square-meter king suite. The hotel will have nine meeting rooms covering an area of 1,400 square meters. 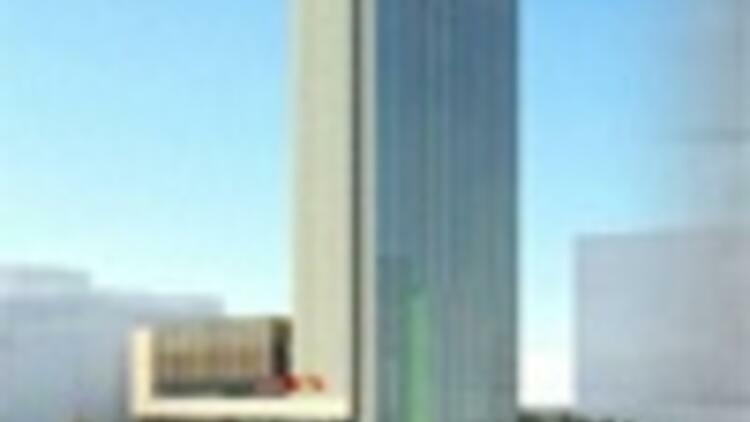 The hotel will provide customers with luxury and comfort together with three restaurants, a ballroom with an area of 1,500 square meters, open-air meetings, a roof terrace in an area of 1,756 square meters for weddings and cocktails, a spa center in an area of 3,150 square meters and sports fields. The hotel has been designed by the second largest architecture company in the world, American RMJM Hillier. Famous British brand Solano is designing the interior.